The small village of Piddinghoe has in the church like many others a benefactor’s board recording its local charities. Here however is a rather sad story which founded a unique charitable event – Little Edith’s Treat. Which despite its inclusion in nearly every calendar customs book, it is sadly now largely defunct. 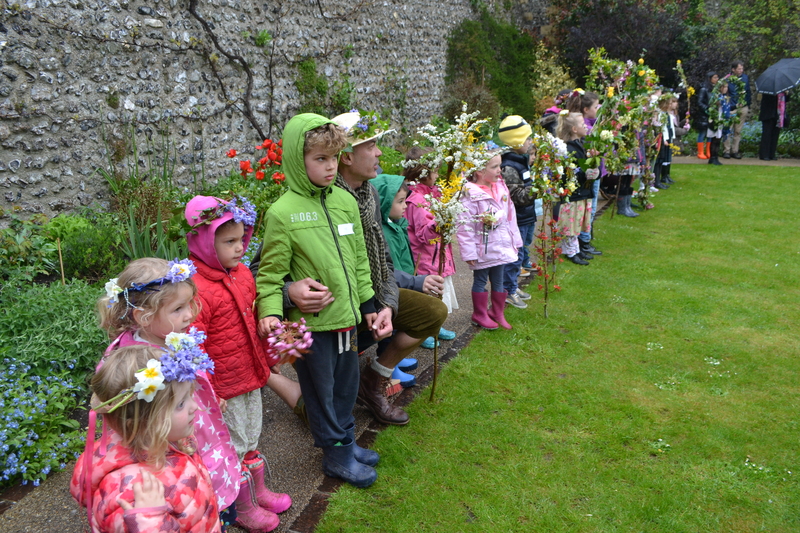 The treats followed the same pattern each year: on the afternoon of her birthday or the nearest school day July 19th, the schoolchildren were told the story of the bequest, attended a church service and then taken to the open space called the Hoe to engage in various games and races, finishing with tea which in the days when food may have been scarcer was a life saver. Roud (2008) in his English Year tells us that the vicar would throw a handful of coins into the air and the children would scramble for them. Prizes and gifts would be distributed back at the school: boys for tidiness, attended school and church regularly and girls for needlecraft. In 1904 the total number of children rose to over 100. 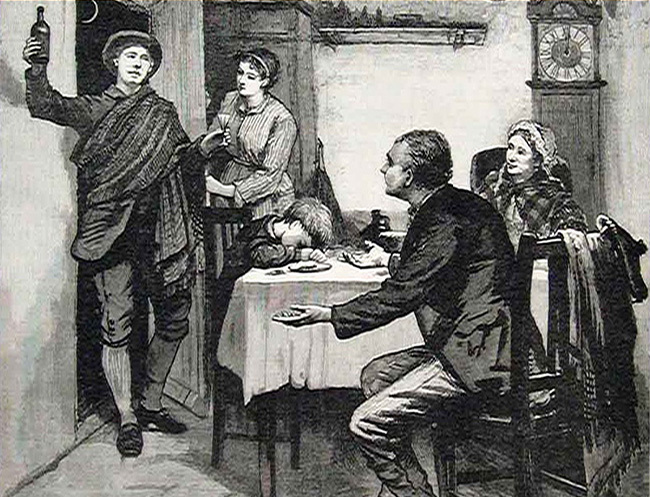 However, sadly after the school closed in 1952, and although the custom moved naturally to Sunday school, a fall in child numbers and decrease in the annual value meant the ‘treat’ became irregular and I was informed in the 1990s that it ceased as a formal event but money was available for one offs. Roud (2008) tells us that in 2000 some of the money paid for a Christmas party, so despite the loss of the actual day the gift still continues when there is enough money available. I am sure that Elizabeth Croft would approve. Nearby at Newcastle, Mackenzie (1827) in his History of Newcastle noted that they to celebrated the day by at first holding a coronation of their patron saint in the court at the Freemen’s Hospital, Westgate, and then processed through the town. In Sussex it was a widespread custom, although by the late 1800s it appear hoave survived only in Cuckfield, Hurstpierpoint, Warninglid and Slaugham. Here it appears to have survived until 1900 where it was recalled that the swinging burning heath brooms and tar barrel rolling was undertaken down a steep hill in the village. It appears to have been another ‘excuse’ for begging, with boys went round Cuckfield and Hurstpierpoint with blacked-up faces and asked for pennies. Apparently when the effigies were removed on the 5th, local people assembled at the Fawn’s house, assaulted the man in question and smashed a hand cart through his window! The perpetrators were fined £2, but as Burstow (1911) notes their fine was quickly paid by public subscription. Sometimes, one of the shoemakers own was the victim. This was Skiver Tulley, who’s crime is unrecorded, but by the sound of the nick-name it was probably due to lack of work. In this case, the effigy was brought into the pub every night by the bootmakers and was included into the drinking party! A load of old cobblers? Why Saint Crispin? The origin of his associations is a little obscure. A 3rd century Roman, he converted to Christianity and was disinherited by his wealthy family and as such he turned to shoemaking and was martyred by Maximian for preaching the Gospel. Legend records that a vigil was kept by his fellow shoemakers and fter his body was pulled from the gibbet, his bones were made into shoe making tools! It is unclear when the custom died out but it was probably a victim of the loss of customs which arose as a result of the decimation of villages after World War I. It is interestingly that this was another event with the lighting of bonfires, a tradition probably borrowed from Samhain-Hallowe’en and then given to Guy Fawkes Night, especially the making of effigies which clearly evolved into Guys and in particular the making of an effigy which displeased the community being undertaken at Lewes. So in a sense St. Crispin’s day may be remembered in this amalgamation. 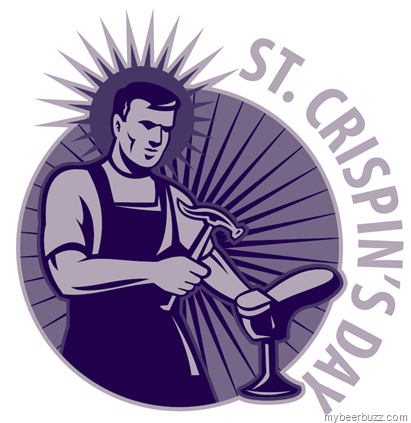 It is worth noting that perhaps the importance of St Crispin and his day has not been entirely forgotten. Northampton, famous for its shoe makers has held a funfair since the 1990s on the day and I have read of a bonfire and fireworks being enacted in the county on this day so perhaps a revival is afoot.